KATHMANDU: Nepali social worker and Founder President & CEO of Solidarity International, Rajendra Gautam has been declared the Peace Hero Nepal 2019 by Peace Museum. 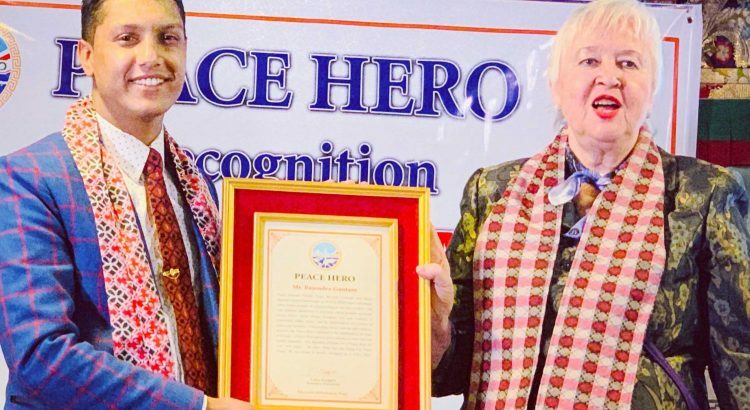 He was recognized with the Award during Peace Hero Recognition Ceremony organized at Hotel Tibet International on 16th Feb, 2019 for his social contribution and dedicatedly working on communal peace, rural development and sustainable development in rural areas of Nepal. 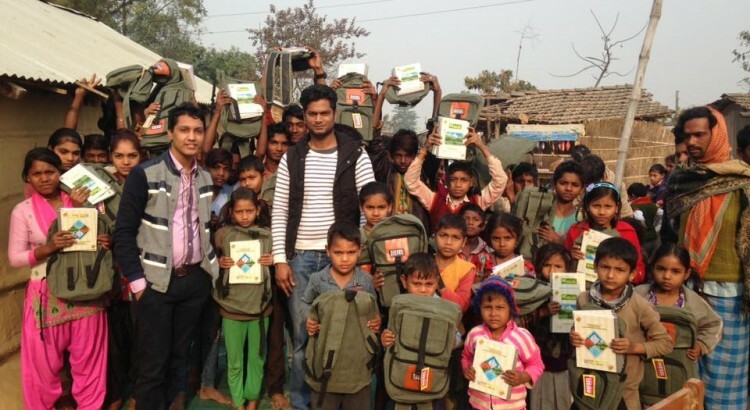 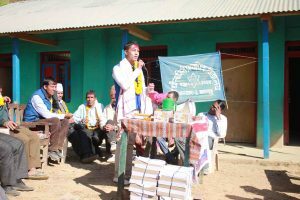 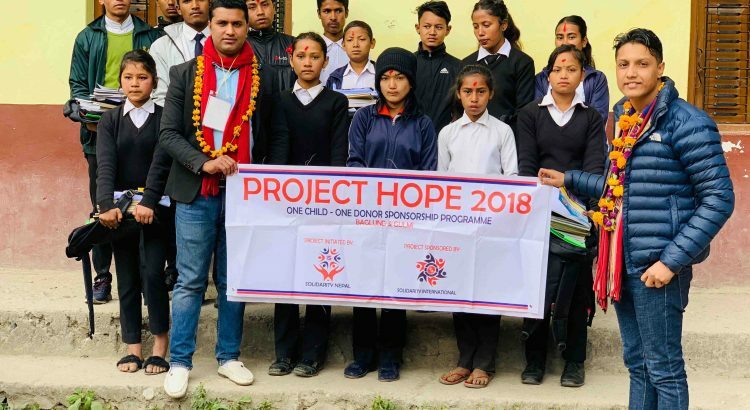 He is the pioneer of “PROJECT HOPE – One Child, One Donor Sponsorship Program” that provides educational scholarships to more than 1000 underprivileged children each year in rural districts of Nepal. 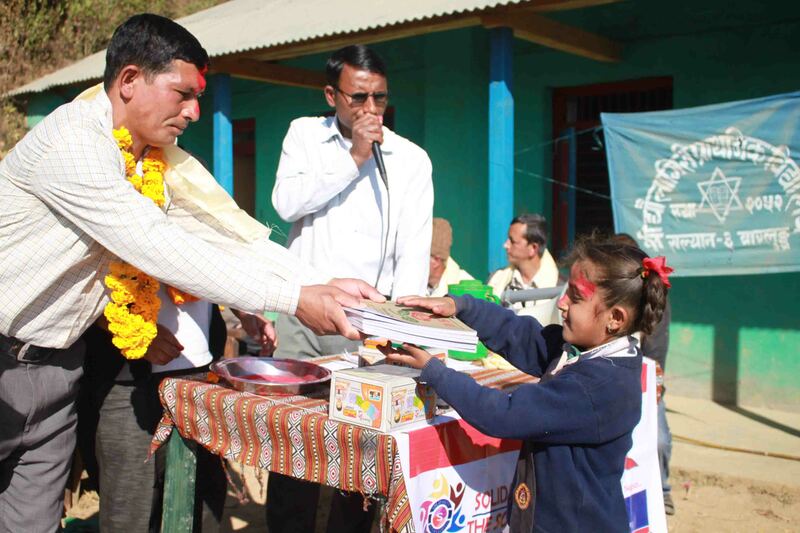 Till date more than 7,500 school going children have been benefited from this project. 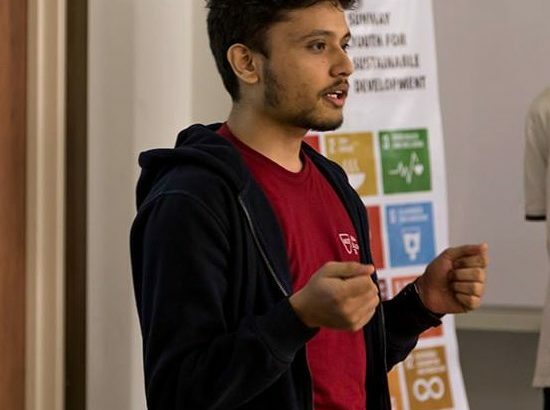 Currently, Gautam is dedicatedly working on several projects for communal peace, rural development, and sustainable development. 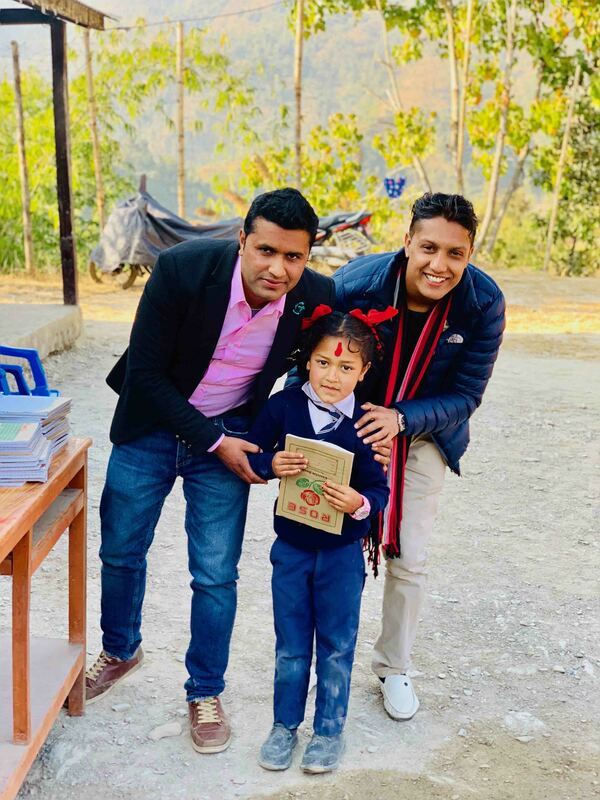 Besides, Mr. Gautam reconstructed 20 new schools in response to Nepal earthquake to benefit more than 2,500 school going children in five districts of Nepal. 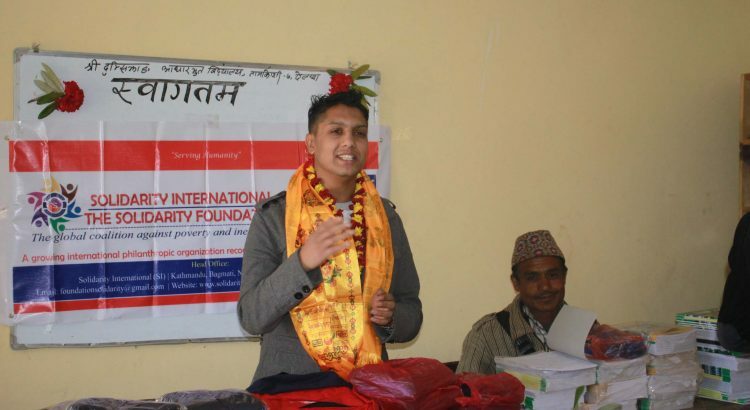 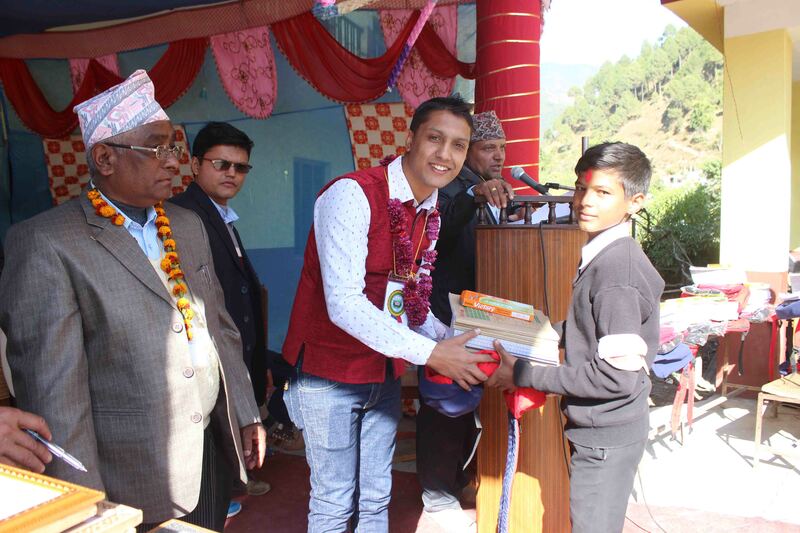 Gautam had also won the “Change Maker Award 2018” by German Alliance, “Social Recognition 2017” by Ministry of Finance, “Youth Award 2016” by Nepal UK Development Trust, “Social Innovation Award 2015” by Nepal Switzerland Innovation Center and “National Peace Prize 2013” by Ministry of Peace. 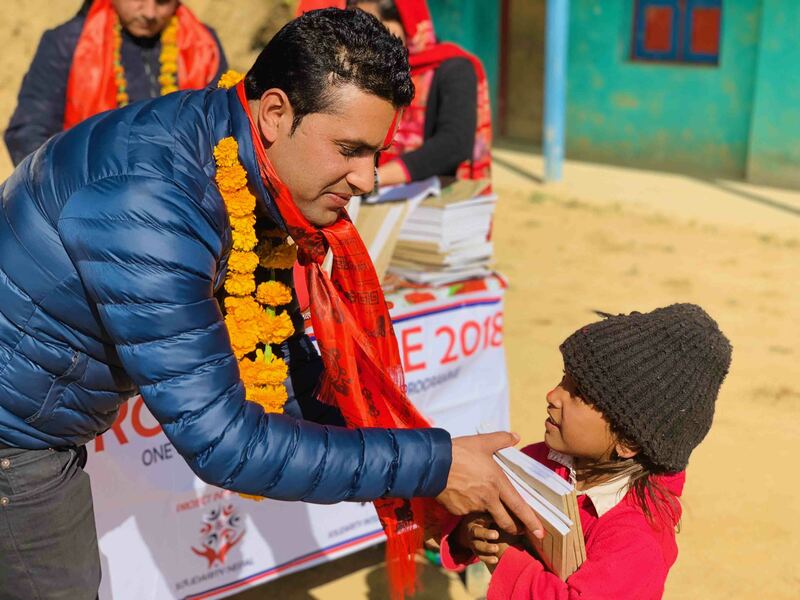 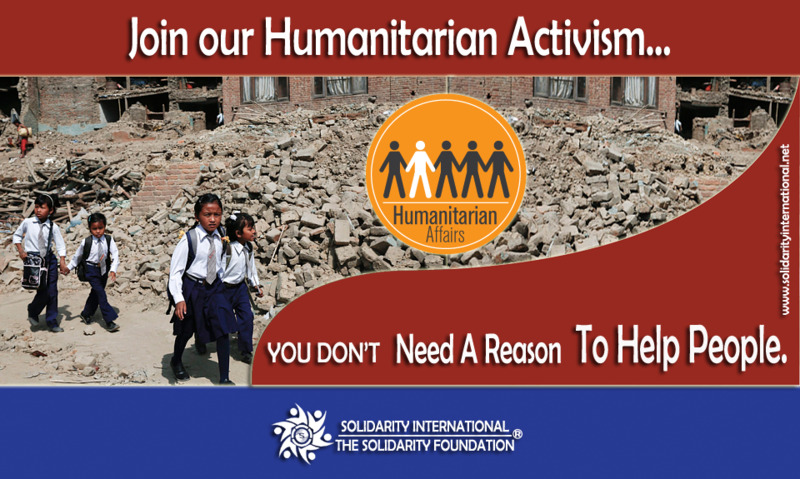 Apart from Gautam, seven other renowned social personalities of Nepal such as CNN Hero 2010 Anuradha Koirala, CNN Super Hero 2016 Pushpa Basnet, Magsaysay Award Winner 2007 Mahabir Pun, Eye Surgeon from Nepal Sanduk Ruit, Media Person Rabi Lamichhane, Actors and Social Activists Sitaram Kattel/ Kunjana Ghimire, Peace Activist & UNICEF Goodwill Ambassador to Nepal Ani Choying Drolma had been nominated for the title. 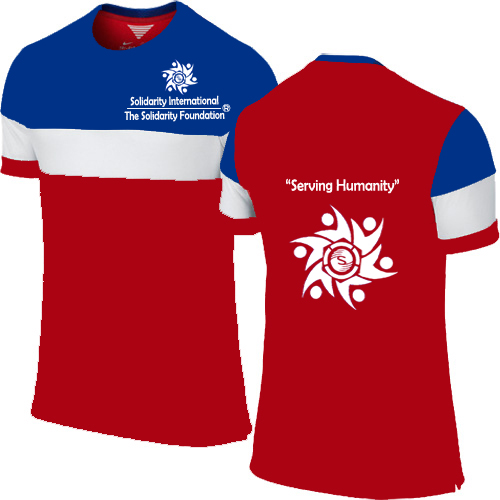 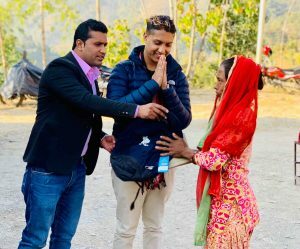 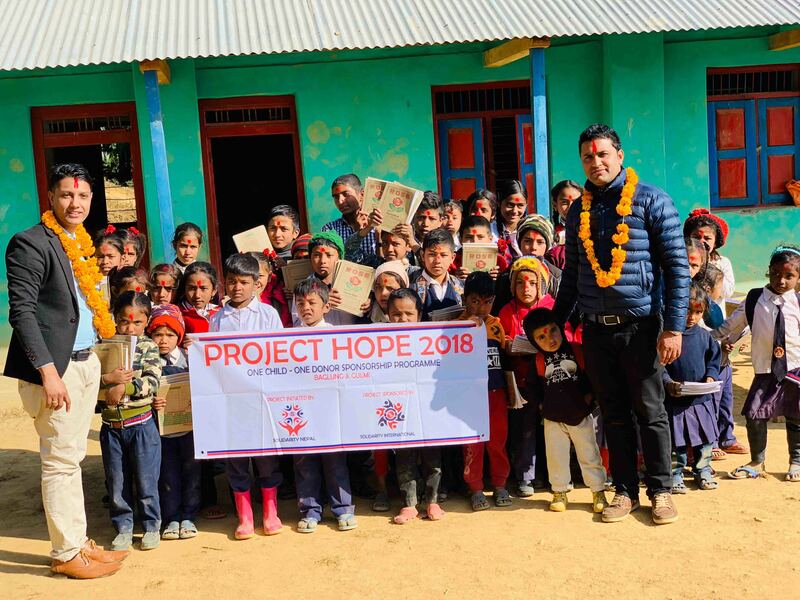 Dec 22, 2018 – Gulmi, Solidarity International accomplished ‘Project HOPE 2018’ to the students of Udaya Secondary School of Chandrakot Gaunpalika-Shantipur, a hilly terrain of Gulmi district. 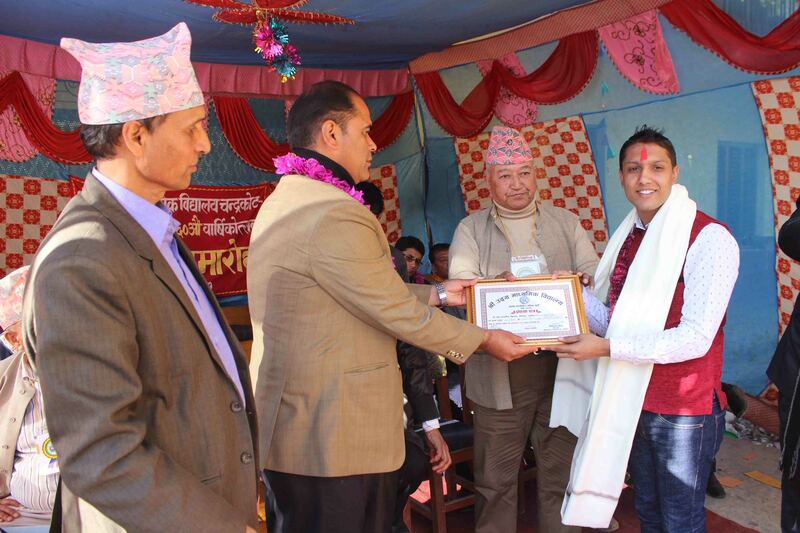 The scholarship was provided to the students of backward community. From primary to secondary level students were provided with stationary materials, school uniform along with school bag. 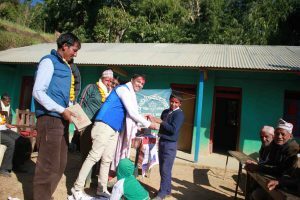 The event was organized in the presence of President of School Management Committee Mr. Mimlal Shrestha, President & CEO of Solidarity International Mr. Rajendra Gautam, Senior Vice-President of Solidarity International Mr. Keshav Raj Subedi, President of Chandrakot Rural Municipality Mr. Dorna Khatri, School Teachers, Parents and Students. 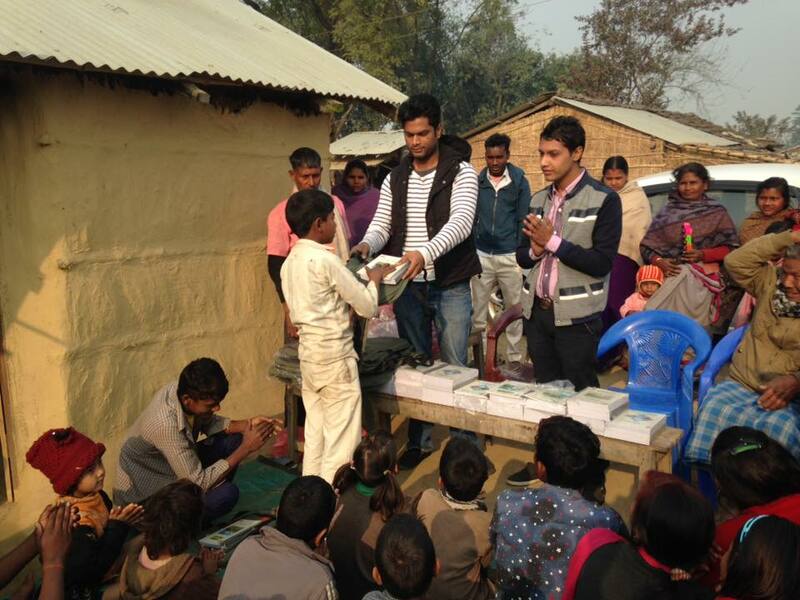 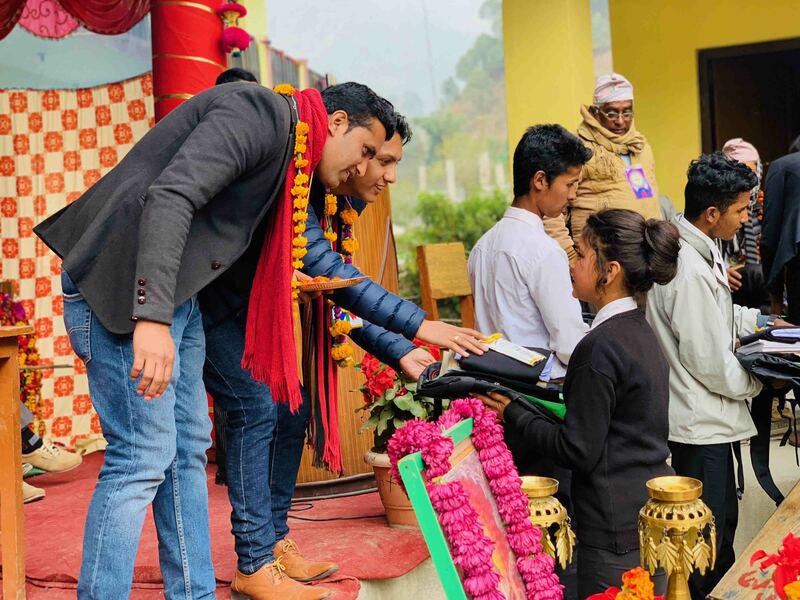 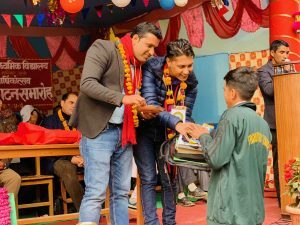 The ceremony mainly dealt with the distribution of Hope Scholarship (Full Scholarship Includes – Stationary Materials, Bags, sweaters, Dress etc) to 15 underprivileged, war affected and marginalized students of the school. 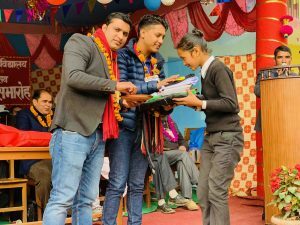 Scholarship was distributed by the SI President & CEO Mr. Rajendra Gautam and Senior Vice-President of SI Mr. Keshav Subedi to the students in collaboration with school teachers. 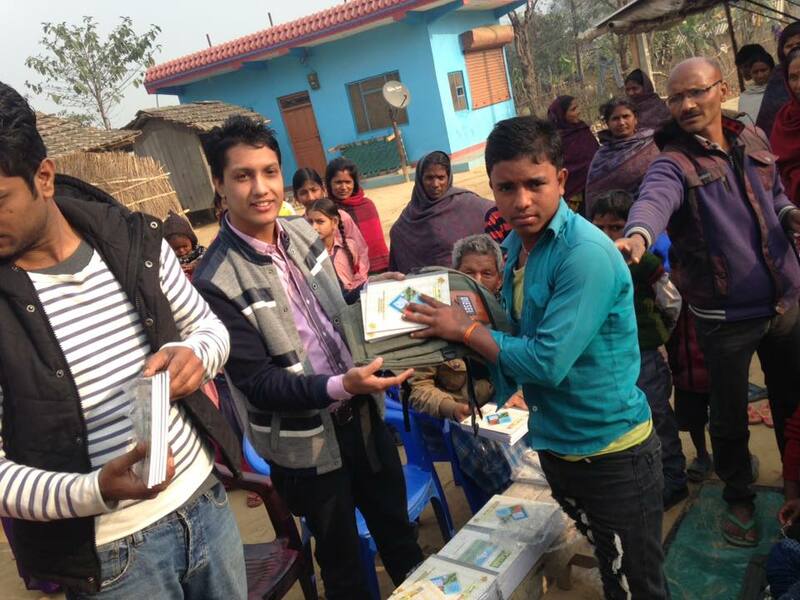 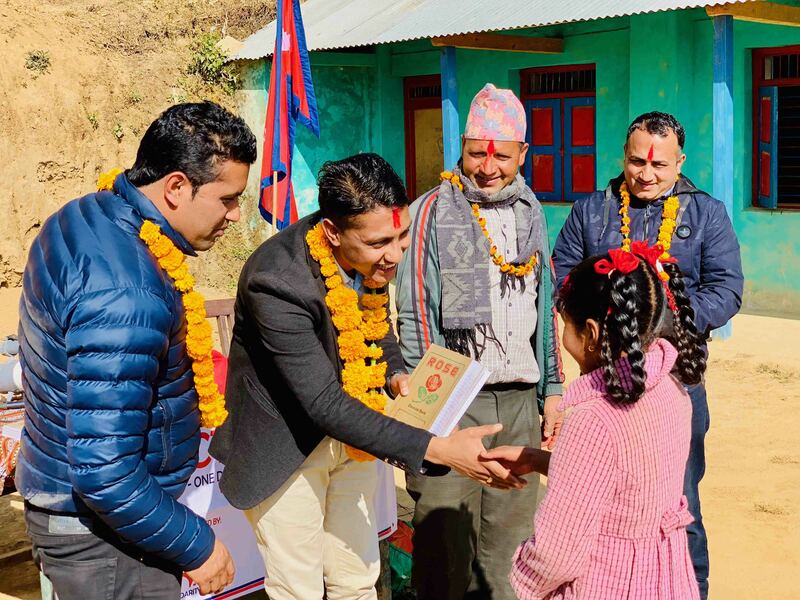 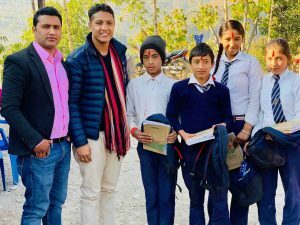 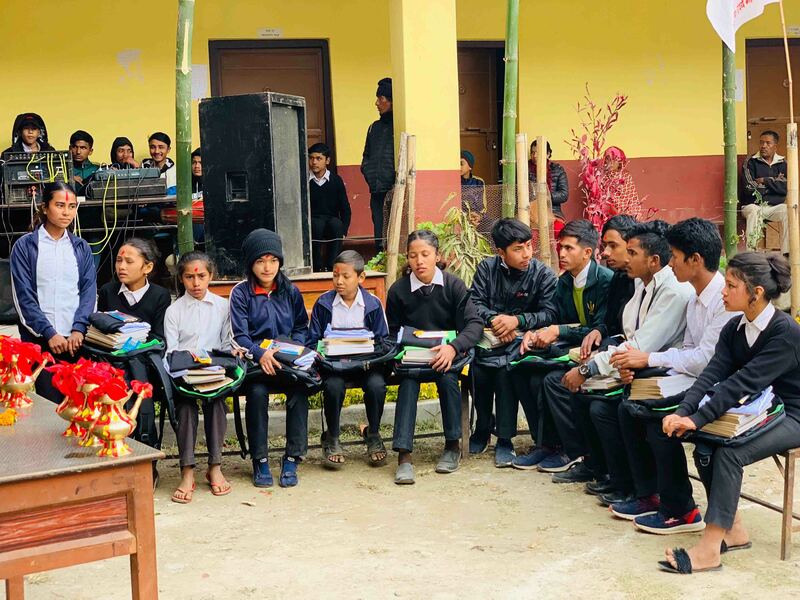 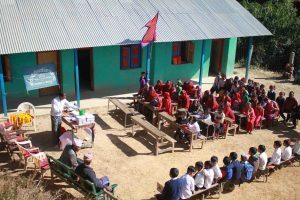 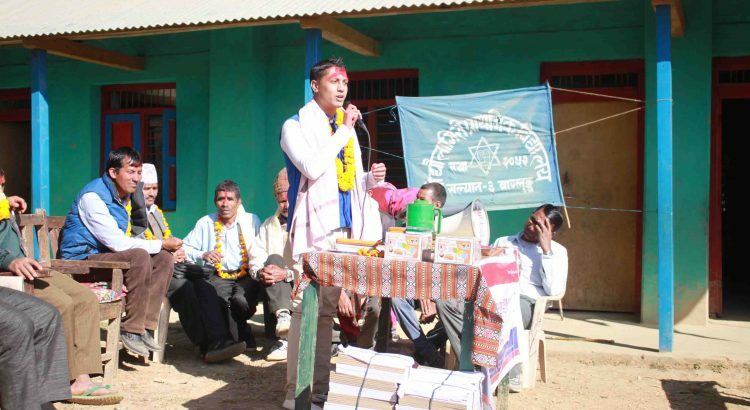 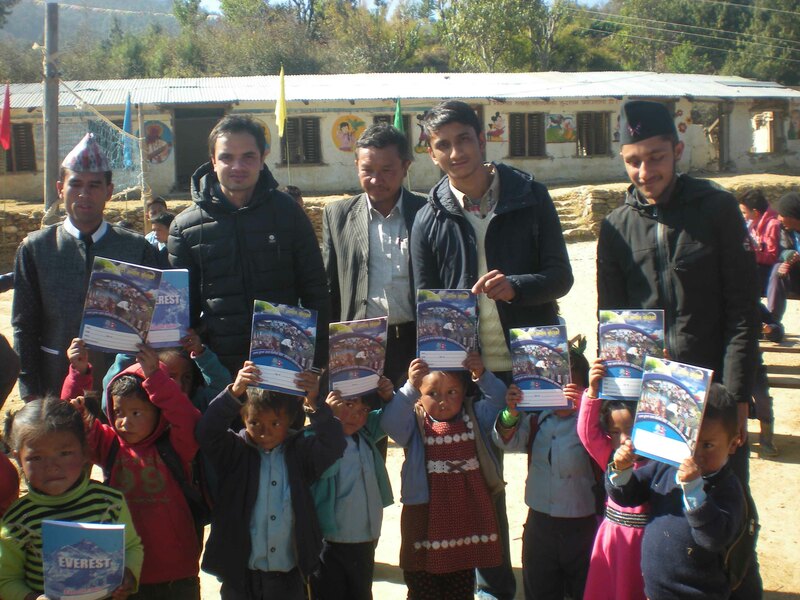 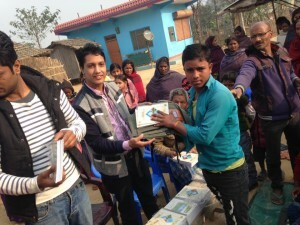 December 20, 2018 – Gulmi, Solidarity International accomplished ‘PROJECT HOPE – a literacy program with a goal to provide Educational Scholarships to the school going children from grade 1 to 8 of Shree Balbodh Lower Secondary School of Chandrakot Gaunpalika-Jharkharka, a hilly terrain of Gulmi district. 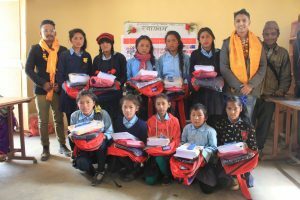 The 45 school going children of poor economic background received school uniform, sweaters, stationery materials, school bags and other school materials under Project Hope of SI. 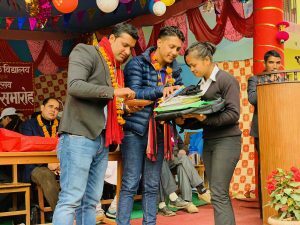 The event was organized in the presence of President of School Management Committee Mr. Bhanu Subedi, President & CEO of SI Mr. Rajendra Gautam, Senior Vice President of SI Mr. Keshav Raj Subedi, School Teachers, Parents and Students. 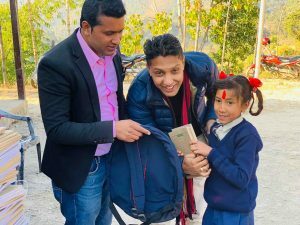 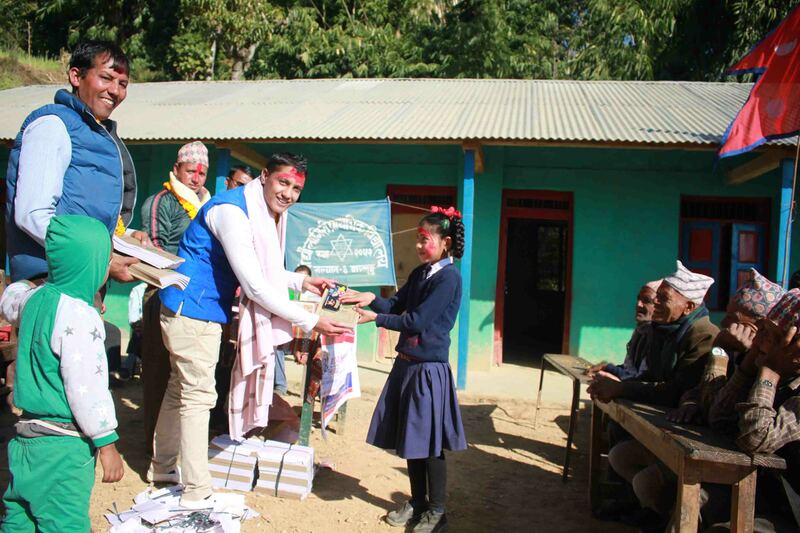 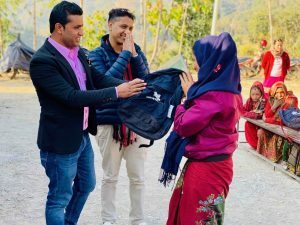 Dec 19, 2018 – Baglung, Solidarity International distributed school uniform, sweaters, stationery materials, school bags and other school materials to 50 Poor and backward students of Shree Dhaulagiri Primary School of Bareng -4, Salyan, a hilly terrain of Baglung district. The event was organized in the presence of President of School Management Committee Mr. Amrit Gautam, President & CEO of Solidarity International Mr. Rajendra Gautam, Senior Vice President of Solidarity International Mr. Keshav Raj Subedi, School Teachers, Parents and Students. 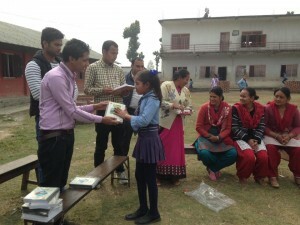 Altogether 100 participants were there in the ceremony. 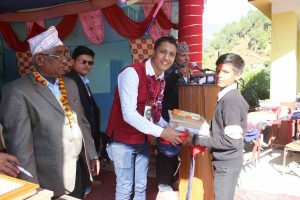 Feb 19, 2018 – Dolakha, Solidarity International accomplished ‘Fifth RudraMan Scholarship Award’ to the students of Shree Dumsijhang Lower Secondary School of Hawa, a hilly terrain of Dolakha district on Feb 19, 2018. The scholarship was provided to the students who were under poverty and brilliant. From primary to lower secondary level students were provided with stationary materials, school uniform along with school bag. 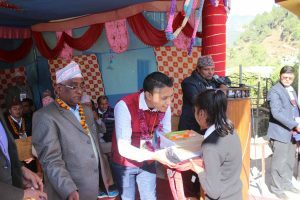 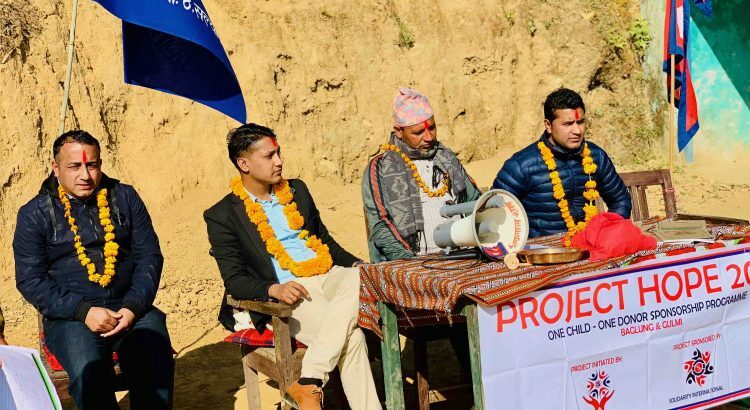 The event was organized in the presence of President of School Management Committee Mr. Dil Bahadur Karki, President & CEO of Solidarity International Mr. Rajendra Gautam, School Teachers and Students. The ceremony mainly dealt with the distribution of RudraMan Scholarship Award (Full Scholarship Includes – Stationary Materials, Bags, sweaters, Dress etc) to 10 underprivileged, war affected and marginalized girls of the school and other stationery materials and copies to the remaining students from Nursery to class 8 of the school. 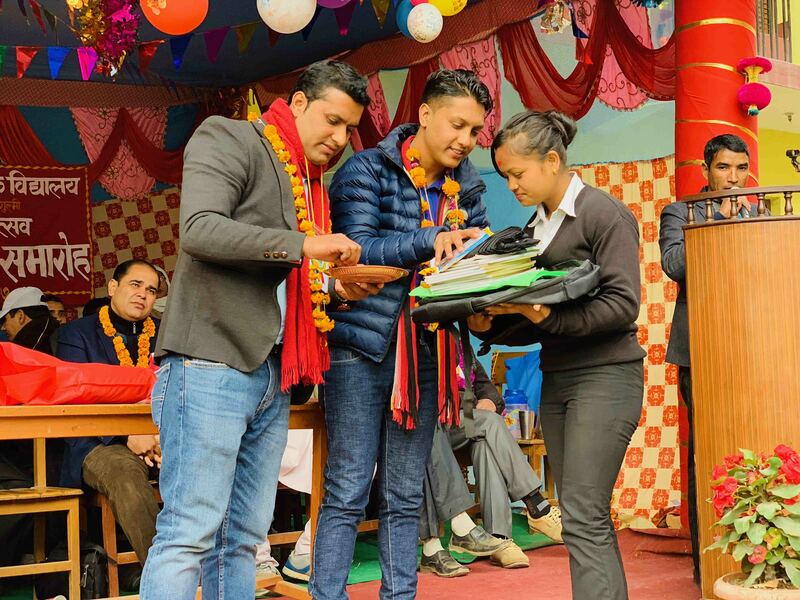 Scholarship was distributed by the SI President & CEO Mr. Rajendra Gautam and Member of SI Mr. Pukar Chaudhary to the students in collaboration with school teachers. 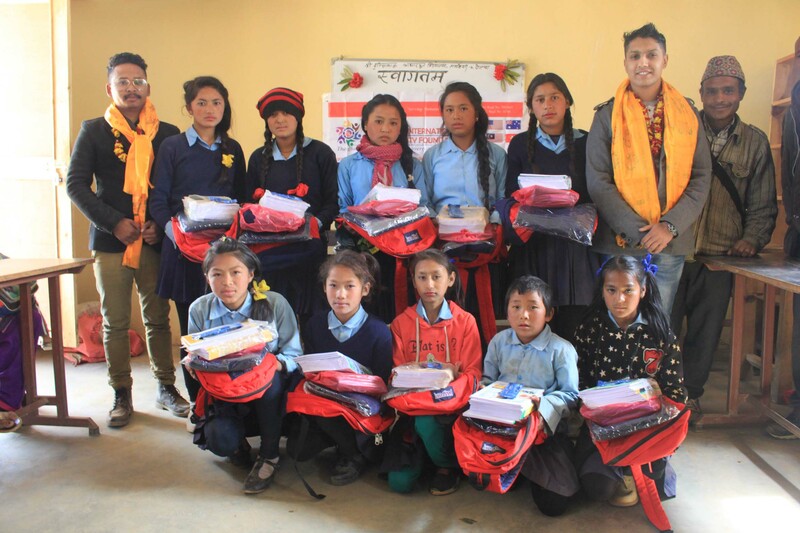 Dec 18, 2017 – Baglung, Solidarity International distributed school uniform, sweaters, stationery materials, school bags and other school materials to 50 Poor and backward students of Shree Dhaulagiri Primary School of Barang, Gaunpalika-4, Salyan, a hilly terrain of Baglung district. 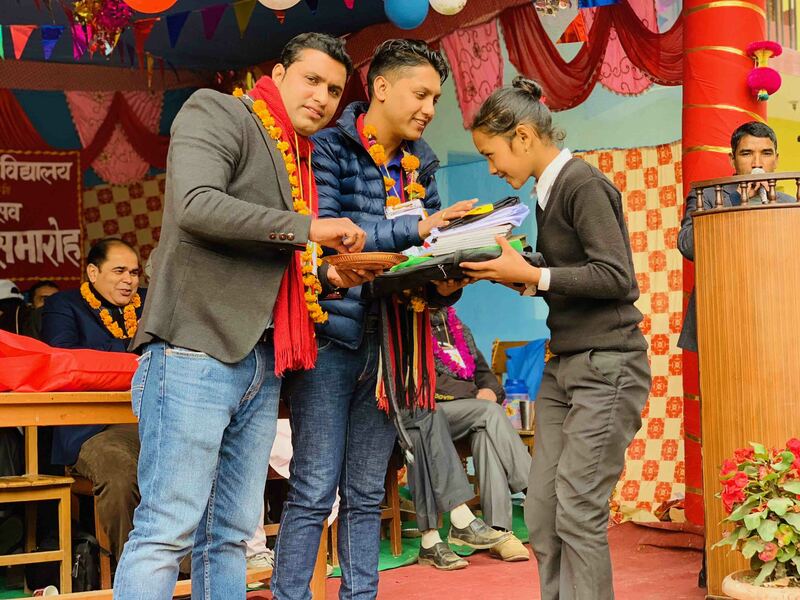 The event was organized in the presence of President of School Management Committee Mr. Amrit Gautam, President of Barang Gaunpalika – 4 Ward President Mr. Lil B Khatri, School Teachers, Parents and Students. Altogether 85 participants were there in the ceremony. 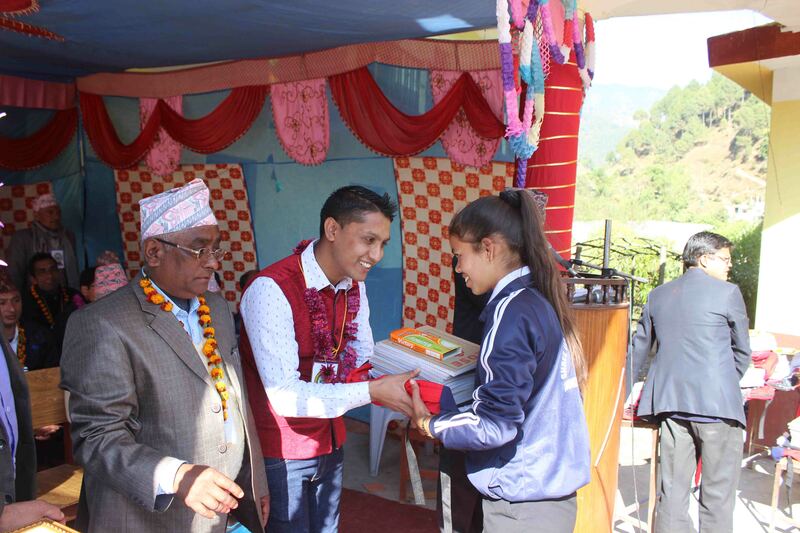 The Chief Guest of the program was Mr. Rajendra Gautam, President and CEO of Solidarity International.